We changed the rules slightly this month. It used to be 4 games 4 times in a month. We sorta realised this was not possible for us, we just don’t have the time 🙁 So we only played 3 games 4 times – good going for us! 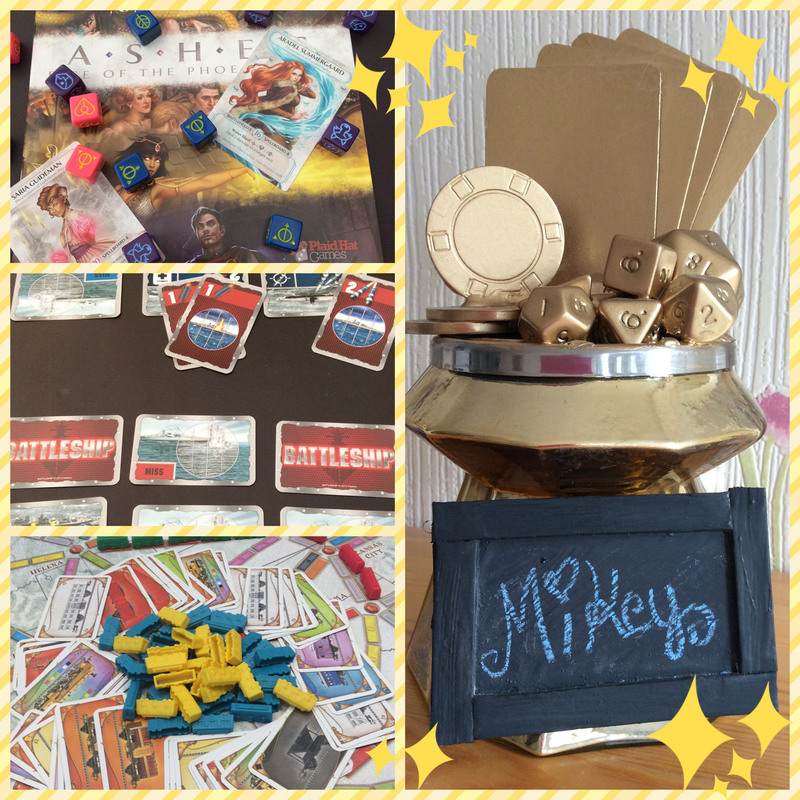 It was a Mike win this month with some Epic wins for Ashes. Why a Devonald Gaming Cup? We play 4 different games, Tammy picks a game she would like to play, Mike also picks a game he would like to play, in advance before the month starts. We play these 4 games for times each in a month. We also choose two games at random to play once in the month. Come back next month and find out who wins . . . I may have won this months cup but I have to say that Tamz put up a good fight. She chose the hardest character to play in Ashes and stuck with it. Using a character that burns through the oppositions deck so they start taking damage is not an easy strategy to win with. You have to protect your Phoenix Born while battling a player who has the ability to manifest a massive amount of creatures onto the battlefield leaves your at a disadvantage. For my own part I have to say I’m happy with the Ticket to Ride win as Tamz is a demon at this game and loves to beat the AI on her iPad.